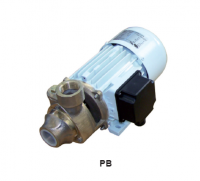 Peripheral water pumps, also known as regenerative or turbine pumps have a similar appearance to a centrifugal peripheral-pump. The internals are different in the way they are capable of developing high discharge heads at low flow rates. The fluid in a peripheral pump is pumped into a peripheral channel (around the edge of the casing). 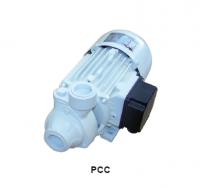 Unlike standard centrifugal pumps, the curves do not flatten as the fluid flow decreases. To summarise the fluid moves along the circumference for the inlet to the outlet of the casing with increasing pressure.